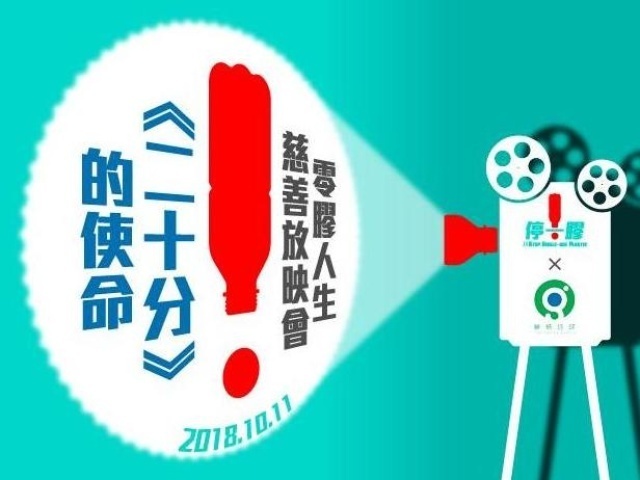 As one of the "Raised their Feet Supporters", Dream Impact is glad to invite you all to join the “Twenty Minutes” short film screening, which received the 2017 Taiwan Taoyuan City Documentary Jury Recommendation Award. he director Chen Wei-Cih used the twenty minutes as the angle to tell the story of styrofoam recycling factory owner, Gao Yueqing. After the short film, we will have guests from different background to do a “Plastic Talk”, where we can explore together how life can be “UnPlasticised”. Join the crowdfunding campaign to get your entry ticket and other eco-gifts, click the FRINGEBACKER link https://bit.ly/2ppGu38 to know more and donate.